Whatever Happened to Progressively Smaller Handsets? 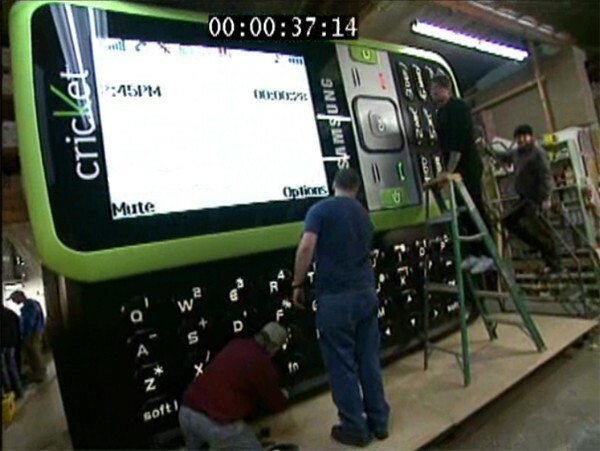 Riding Ad Land's current obsession with breaking into Guinness, Cricket has just produced the world's largest cell phone -- a gigantosaur Samsung Messager composed of "wood, metal, lights, wizardry, and love." The phone -- so big you risk cardiac arrest if you happen to be lying on it in vibrate mode -- kicks off Cricket's Get Some Respekt campaign. See it in person through March 15th in Chicago; the monster of mobile hits Philly on the 20th. Orchestrated by Seattle's Cultural Engineers and events firm NEVERSTOP.